Caring for someone with Alzheimer’s or dementia is a tough challenge. Plus, many of the most effective care and communication techniques aren’t easily figured out and might even go against our intuition. 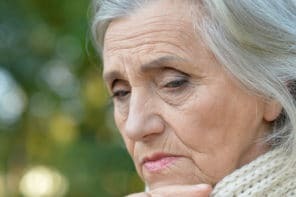 Not knowing these helpful techniques can cause added frustration and stress for both you and your older adult. That’s why educating yourself is so important. Learning as much as you can about the disease helps you solve everyday issues and improve quality of life for both of you. 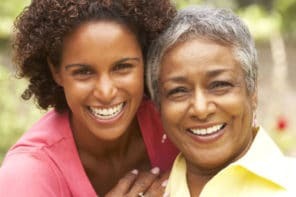 To make caring for your older adult a little easier, we’ve rounded up 6 top Alzheimer’s and dementia caregiving books that would benefit both new and experienced caregivers. They’re praised and recommended by experts and family caregivers alike. These 6 books help with practical care tasks, explain how to manage difficult symptoms, share tips for coping with stress, give ideas for realistic and engaging activities, and share personal stories. The 36-Hour Day is often referred to as the “gold standard” book for families who are caring for someone with Alzheimer’s or dementia. It’s a care guide that has practical tips and information to improve the lives of people with dementia and also to help caregivers cope with their own emotions and needs. Joanne Koenig Coste has a practical approach to the emotional well-being of both the person with dementia and their caregiver. 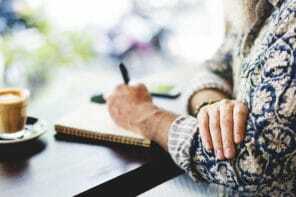 She emphasizes relating to people with dementia in their own reality and focuses on improving communication – proven successful with thousands of people living with dementia. Jolene Brackey’s vision is that we’ll focus on creating moments of joy that put a smile on their face or a twinkle in their eyes. Even if they won’t remember what we said or did, the positive feelings will stay with them. The newest edition of this book is filled with even more practical advice sprinkled with hope, encouragement, new stories, and humor. In her book, Paula Spencer Scott talks about what every family caregiver needs to know – how to help someone with dementia without sacrificing yourself. The best, most current thinking on how to enhance quality of life and safety while minimizing stress on everyone involved. The “Why This, Try This” approach to understanding what’s behind odd, frustrating behaviors – and what you can do about them. How to defuse resentment, guilt, anger, and family friction. Lifesaving insights from a team of top dementia-care experts from geriatrics, psychiatry, social work, law, dementia therapy, and caregiver advocacy. Stories and ideas from real families. A fast, scannable format that’s perfect for the short-on-time caregiver. Everyone needs to feel engaged & entertained. But finding activities that someone with dementia can enjoy is a constant challenge. The activities in this book help maintain your parent’s self-care skills, mobility, and socialization. The tasks encourage success, boost self-esteem, and give you different opportunities to interact with your older adult. Caring for someone with Alzheimer’s or dementia can make you feel lonely and isolated but you’re definitely not alone in this. This book has 101 encouraging and inspiring stories by caregivers like you. It’s a wonderful source of support and encouragement throughout the caregiving journey. We searched online for a book titled “Bring Back the Memories,” but haven’t been able to find anything with that title. You may want to contact a local bookseller to see if they can help you find it.